Groupe SSI’s biggest strength, turnkey services. Groupe SSI specializes in the implementation of technological tools that allow you to adapt to the digital trend by simplifying the management of your business and by improving performance. We take charge of the installation, repair, maintenance and management of your computer network. Our Microsoft certified experts also take care of your migration to cloud computing and of your deployment to Office 365 without sacrificing your productivity or jeopardizing the security of your data. For professionals, Groupe SSI keeps its work within the security framework imposed by professional orders. We have developed expertise in optimization of IT networks and cloud solutions that adequately meets the new needs and realities of SMEs. Through Groupe SSI, you get custom, high-performance, stable, and safe technological solutions. 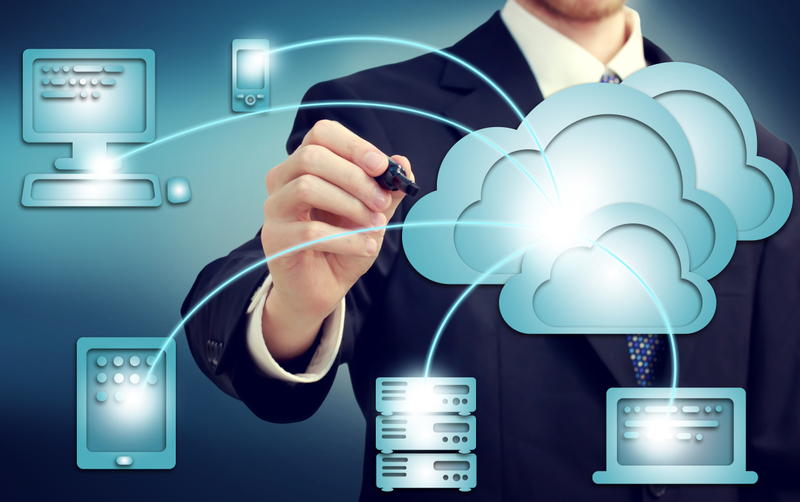 We stand out through our strong skills in the field of cloud computing. Also known as The Cloud, cloud computing is a reliable and cost-effective way to access and provide resources for your company’s applications. By paying for your one-time or long-term needs, the Cloud allows you to reduce operating costs. Groupe SSI can make your systems’ transition to cloud computing fast, easy, and secure for increased productivity and workflow management without spending astronomical sums. Whether to install the Microsoft Office 365 suite or to meet the new technological needs of your existing systems, Groupe SSI has the resources and certified personnel to analyze your system and to perform your migration in a safe and transparent way. Groupe SSI offers an IT infrastructure that perfectly matches your needs. We can, for example, install powerful servers, implement a LAN or wireless network, optimize the security of your computer platform, create user management software and data, or install visualization and conceptualization software. Contact one of our IT specialists today for an estimate!